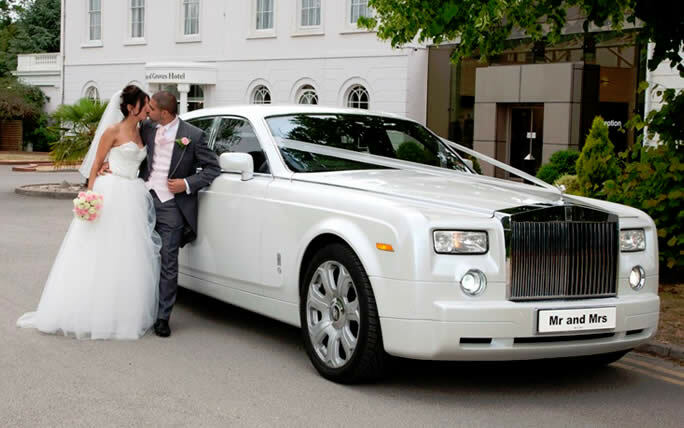 Nottingham Wedding Cars are the right choice for your wedding car hire. We use prestige Mercedes Benz vehicles and for those wanting the classic look the white Beauford Tourer. Our unrivalled combination of immaculately presented vehicles with professional and friendly chauffeurs and attention to the all important finer detail will help to make your wedding day one to remember. All of our cars come adorned with ribbons, bows, and rear window flowers. We can also provide 8 seater Mercedes minibuses and stretch Limousines for family and friends to create the perfect wedding car hire package. Nottingham Wedding car hire is competitively priced and remain one of the best value for money and excellent customer service companies in Nottingham with prices starting at £120 for our Mercedes E class. Choose Nottingham Wedding Cars for all your wedding travel needs.